Prepare to lose many productive hours of your life! 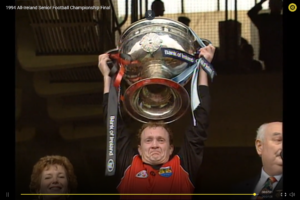 The GAA has, today, offered all those with access to a screen and an internet connection, the chance to waste days away to your heart's content, teaming up with the Broadcast Authority of Ireland to provide archived games of old, free-to-stream. The glut includes over 500 matches to feast on, from both hurling and football, spanning all the way back to 1961. 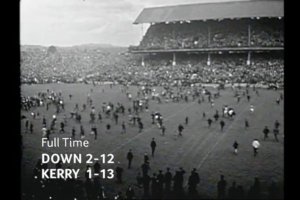 All in, the annals feature 113 All-Ireland finals as well as each provincial final spanning almost six decades. 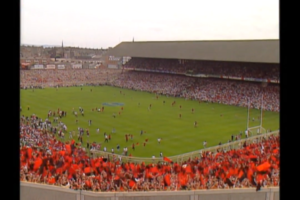 Additionally, there is a full rundown on all All-Ireland club finals from the past 30 years. Christ, is anyone else giddy at the thought? Just take a look at some of these great moments in time. With legends Mikey Sheedy and Paddy Cullen looking on, President John Horan was understandably glowing at this afternoon's launch at headquarters, labelling the project as a "fantastic initiative" which looks to "safeguard so much of our history". I would like to acknowledge the support of the Broadcasting Authority of Ireland whose help was instrumental in making the project happen and I am confident GAA members and supporters everywhere will enjoy countless hours going back through what is a treasure trove of games spanning more than half a century. There'd be few that would argue with that. The association has also confirmed that they will look to add further clips to the vault over the coming weeks and months. Go on! Take an hour to yourself! Check the full archive out right here.